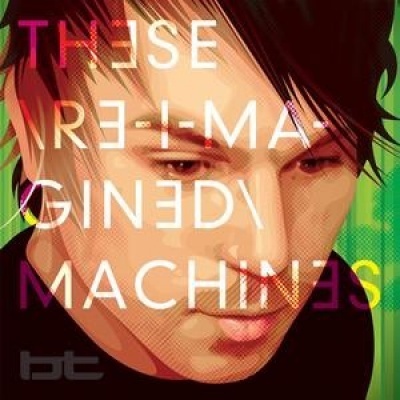 As fervently fan-aimed as they come, These Re-Imagined Machines remixes BT’s already big double-album These Hopeful Machines across its own two CDs, with big names likes Armin van Buuren, Chicane, and Ferry Corsten lending a hand. That’s progressive trance royalty as far as the message boards are concerned, but the final ace up this collection’s sleeve is the continuous mix each disc features, dividing BT’s original album into two distinct sets suitable for the club. Breakfast’s remix of “The Unbreakable” deserves special mention as it turns the cut into a grand, primetime floor-filler, but Grayarea’s take on the very same track runs a close second with its seamless transition from slamming electro to blissful trance. Josh Gabriel does the most “re-imagining” with his glittery shrinking of the precious “Every Other Day,” while van Buuren wins by playing it safe, delivering a quintessential progressive trance remix of the same cut, from the echoing vocals to the big dropout followed by a slow rebuild. No reason to choose this over the original, but a worthwhile alternative for those looking to skip the glitchy bits and slow bpms.